One of the ancient sports of the world is horse racing. Around 4500 BC, its origins date back among the nomadic tribesmen of Central Asia. Horse racing has flourished as the sport of kings since its establishment in Asia. Horse racing is one of the few forms of gambling that is legal throughout most of the world, including the United States during the present. 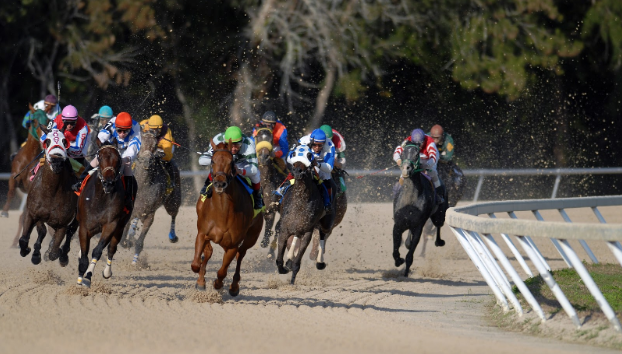 Below are the top 10 best horse races in the world. On the first Saturday in May, capping the two-week-long Kentucky Derby Festival, the Kentucky Derby is a horse race that is held annually in Louisville, Kentucky, United States. The race for three-year-old Thoroughbreds is a Grade I stakes race at a distance of one and a quarter miles at Churchill Downs. On the third Saturday in May each year at Pimlico Race Course in Baltimore, Maryland, the Preakness Stakes, an American flat thoroughbred horse race, is held. Since the first running in 1873, the race has changed, but still many traditions remain. The hefty Woodlawn Vase, a grand silver trophy crafted by Tiffany in 1860 is presented to the winner. Held on the first or second Saturday in June at Belmont Park in Elmont, New York, the Belmont Stakes is an American Grade I stakes Thoroughbred horse race. Open to three-year-old Thoroughbreds, it is a 1.5-mile-long horse race. Fillies carry 121 pounds while Geldings and Colts carry a weight of 126 pounds. Open to thoroughbreds aged three years or older, the Prix de l’Arc de Triomphe is a Group 1 flat horse race in France. It is run at Longchamp over a distance of 2,400 meters, and it is scheduled to take place each year, usually on the first Sunday in October. The Royal Ascot has been a part of British tradition since 1711 with plenty of pomp and circumstance. It is a week-long racing series with 16 group races. The Royal Party and the Queen typically attend all of the event’s races, so it is required to dress the part of royalty. Though it’s not likely to get into the Royal Enclosure without serious connections, people can still enjoy the Royal Procession, the Military Bands, the plethora of food stalls and the races themselves from the Grandstand areas. The Meydan Racecourse which in Arabic suggests a place where people congregate and compete, a sort of meeting point in the Emirate of Dubai, United Arab Emirates, is where the Dubai World Cup, a Thoroughbred horse race is held annually since 1996. Held annually at Aintree Racecourse in Liverpool, England, the Grand National is a type of National Hunt horse race. It is a handicap steeplechase over 4 miles 514 yards with horses jumping 30 fences over two laps which was first run in 1839. With a prize fund of £1 million in 2017, it is the most valuable jump race in Europe. Australia’s most well known annual Thoroughbred horse race is the Melbourne Cup. Conducted by the Victoria Racing Club on the Flemington Racecourse in Melbourne, Victoria as part of the Melbourne Spring Racing Carnival, it is a 3,200-metre race for three-year-olds and over. Operated by Breeders’ Cup Limited, a company formed in 1982, the Breeders’ Cup World Championships is an annual series of Grade I Thoroughbred horse races. It was a single-day event from its inception in 1984 through 2006. However, starting in 2007, it expanded to two days. For the annual series of thoroughbred horse races that make up the Breeders’ Cup, the location changes each year. Held at Nakayama Racecourse every year in mid-April, the Nakayama Grand Jump is a type of Japanese horse racing steeplechase. Run at a distance of 4250m, and it is for thoroughbreds, four years old and older. Originated in 1999, the race doesn’t draw the kind of sizeable international crowd present at larger horse races, but tickets are inexpensive, and the group is family-friendly and enthusiastic. Since the beginning of recorded history, horse racing was an organized sport for all significant civilizations around the globe. It is a noble sport that exuded both entertainment and history. Horse racing is part of the culture of many countries across the world. It is an enjoyable sport that is thoroughly appreciated by many. For those who are new to the world of horse racing, what better way to introduce yourself to the game aside from viewing the best races of the sport? 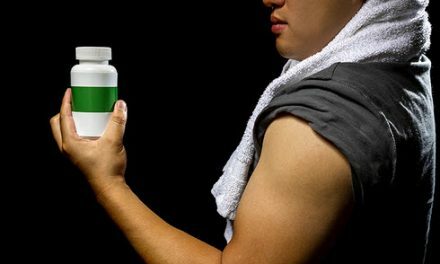 Top Professional Athletes Who Use CBD and Why?